Online content has shifted from static and document-oriented to dynamic and discussion-oriented, leading users to spend an increasing amount of time navigating online discussions in order to participate in their social network. 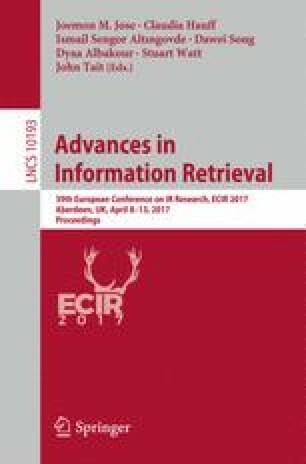 Recent work on emotional contagion in social networks has shown that information is not neutral and affects its receiver. In this work, we present an approach to detect the emotional impact of news, using a dataset extracted from the Facebook pages of a major news provider. The results of our approach significantly outperform our selected baselines. J. Clos and A. Bandhakavi–contributed equally to this work.